Kimberly Schlapman's daughters, Daisy and Dolly, have a really adorable sister relationship! Check out these pictures and videos from the family! In January 2017, Little Big Town‘s Kimberly Schlapman revealed that she and husband Stephen Schlapman adopted a newborn baby girl named Dolly Grace. Now, Dolly is 2-years-old and has a developed a beautiful relationship with big sister, 11-year-old Daisy Pearl. 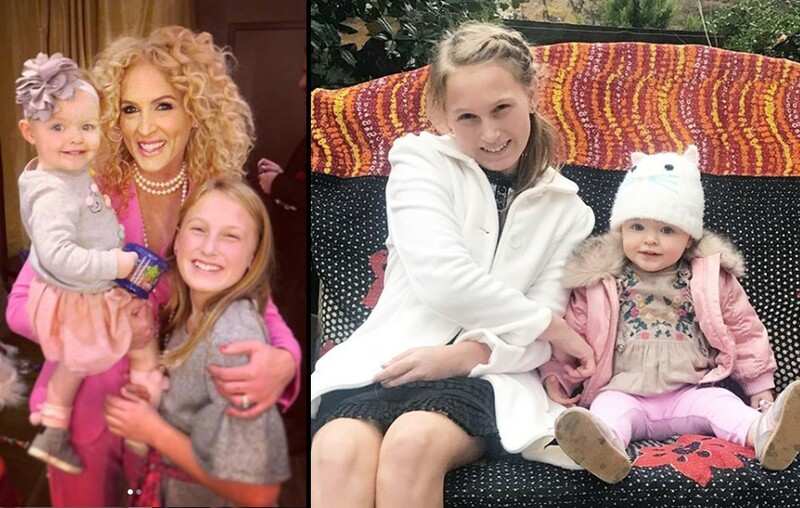 Enjoy this collection of pictures starring Stephen and Kimberly Schlapman’s daughters below! We are constantly amazed at the spirit and love that exude from this precious angel. Thank you, God, for the gift of adoption. Happy 2nd birthday, Dolly Grace. Ah, our hearts! Kimberly Schlapman’s daughters are so loved and just radiate happiness like their mother. “We are constantly amazed at the spirit and love that exude from this precious angel. Thank you, God, for the gift of adoption. Happy 2nd birthday, Dolly Grace,” Kimberly shared on social media to celebrate Dolly’s second birthday in December. “11 years ago, this angel on earth made my biggest dream come true. Her ginormous heart, her never-give-up playful spirit, her capacity to love others and her unconditional compassion inspire me everyday. She IS a dream. Happy birthday, Daisy Pearl. 💝” the star posted to Instagram in honor of Daisy’s birthday last July. Share this update with other fans of this family and spot Kimberly Schlapman’s daughters in Little Big Town’s “Happy People” music video!